A golf beer pong game is a great gift for anyone who enjoys golf. The game combines 3 very popular games (corn hole, beer pong, and golf) into one. It’s perfect for family get togethers, tailgating, and parties. You can choose between buying one board or a set. 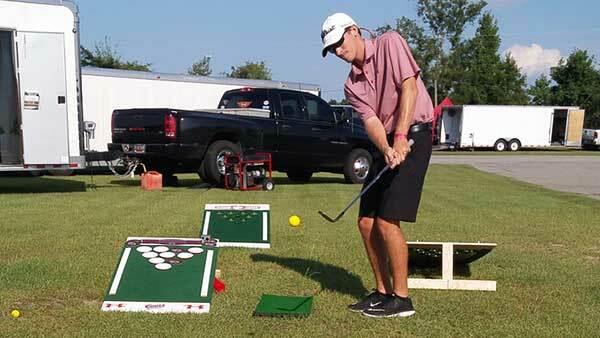 Beer pong for golfers is a new game that combines golf, beer pong, and corn hole. The boards can be customized with their favorite sports team or other design. The rules are simple, players or teams take turns chipping golf balls into the opposing teams cups. The game set comes with chipping mats that players can chip off if they aren’t playing on grass. It’s ideal for outdoor use, but it could also be used indoors, or set up in a sports bar. 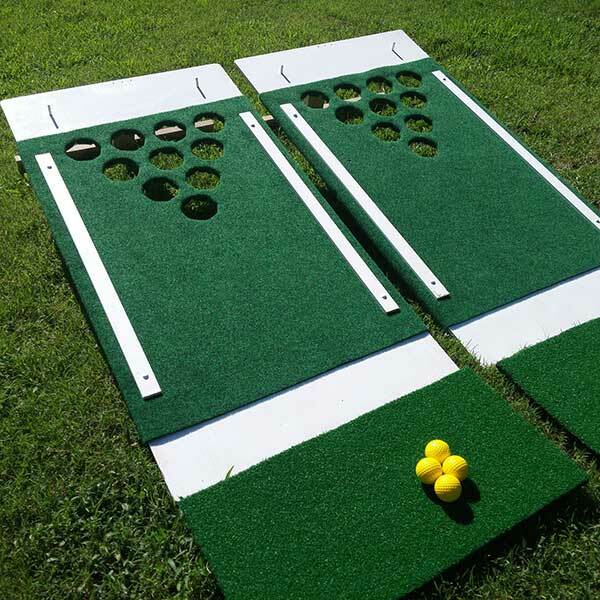 The beer pong golf set comes with the boards, the chipping mats/carpets, and golf balls. Because a lot of people already have their own golf clubs and it would raise the price of the game significantly, they are not included with the set. The boards measure 4 feet by two feet and have collapsible legs, making them easy to transport and store. You can pick up the original golf beer pong through the check it out link above. You can purchase clubs, coasters to cover the holes, signs, and decals to customize the game boards with separately.